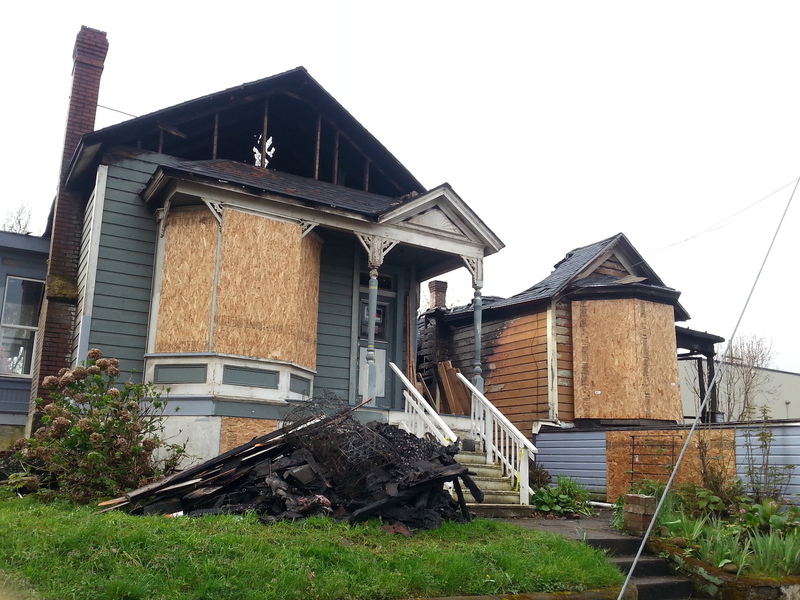 Sadly, Eliot lost a little bit of history March 14th when two adjacent Victorian houses on Tillamook St. suffered devastating fire damage. The two single-story homes at 16 and 20 NE Tillamook near Williams Ave., were both built in 1890 according to Portland Maps. I froze as I looked at the building ablaze across the street. The crackling noise woke us up and the strange orange glow coming from the front of the house got us out of bed. Questions blazed through my head: Is that building really on fire? How can this be? What do we do? 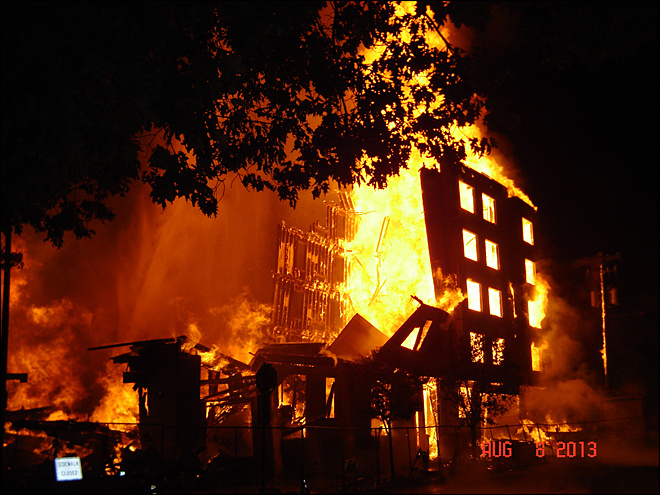 I felt its raging heat from a half block away as I frantically shut the windows that faced the five-story wall of flames. Right out there on NE Martin Luther King, Jr. Boulevard, one of the biggest of the four new apartment complexes was burning to the ground at four fifteen on a Thursday morning. Did you know that the Portland Firefighter’s Association is organizing a fundraiser for neighbors affected by the August 8 five-alarm fire on Martin Luther King, Jr. Boulevard? The fire reduced to rubble a 46-unit apartment building that was under construction, rendering uninhabitable some of the adjacent residential buildings in the process. Several of the tenants displaced by the fire do not have the financial means to rent a second apartment; some have found themselves with nowhere to sleep but the couches of friends. Portland chefs and firefighters will cook up a tasty rib dinner for you and your family on September 18, 4:30 p.m. to 8 p.m. at EaT Oyster Bar and Restaurant. For just $18 you’ll receive a firefighter’s plate of ribs and sides that will definitely fill you up. A healthy portion of each dinner sold will go towards folks directly impacted the by the five alarm fire in Northeast Portland last month. The recent 5 alarm fire in our neighborhood reminds us of the importance of community and working together to improve emergency preparedness. Many who had to evacuate homes during the fire felt a sense of vulnerability, which sparked new discussions about individual resilience. 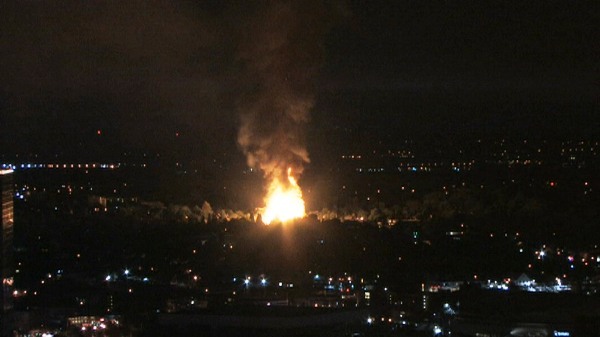 As the fire broke out on Monroe and MLK early Thursday morning much of the neighborhood became aware. It may have been the heat, the flames, the sirens, the smoke, or a knock on the door. Very few didn’t know about it. This is my experience that morning. It is nothing like those who lost their homes, but I thought I would share anyway.